I happened across a news story on Yahoo! yesterday that involved Alcatraz Island in San Francisco and how some guy named Da Vid, who is the director of the Global Peace Foundation, wants to have the former prison torn down and a Global Peace Center built in its place. Huh? Having had the opportunity to visit Alcatraz in 1986 during my parents' visit to California when I still lived there, I was rather intrigued by this story just as I was by the former federal prison. I was rather dismayed to see that someone wants to tear down the history of Alcatraz along with the old buildings for it's certainly an interesting, and I feel important, part of our American history whether you think it "exudes negative energy" or not. Alcatraz's colorful history began shortly after gold was discovered in 1848 along the American River in central California. As word of vast riches spread quickly, hundreds of ships filled with gold-seekers from around the globe arrived in San Francisco Bay and the land formerly belonging to Spain and then to Mexico was claimed as United States territory. San Francisco's population exploded from 300 to 30,000 in just a few years while it became the center of world attention for thousands of people in search of gold and riches. In 1850, California became a state and President Fillmore issued an Executive Order reserving certain lands around San Francisco Bay for military use as the United States government felt they needed to protect the land and its mineral resources from seizure by other countries. In 1853 construction began on Fort Alcatraz atop the sandstone island in San Francisco Bay and upon completion became the most powerful of all Pacific Coast defenses. Steep walls were created around the island and cannon were posted at the north, south, and west sides of the island so that they faced all ships coming into the bay. Eventually there were 111 guns that almost totally encircled the island along with smaller Howitzers that were posted midway along the island in gun batteries. Alcatraz Island, often referred to as "The Rock", was originally planned as an army defense site but was also an ideal location for a prison and, as such, in 1861 Alcatraz was officially designated the military prison for the Department of the Pacific. Initially prisoners were held in the Howitzer rooms of the guardhouse but when they became too full, a temporary wooden prison was built in 1863 just north of the guardhouse. It was replaced with several adjoining structures called Lower Prison which housed an average of 100 men throughout the late 1800s. During the Spanish-American War thousands of troops passed through San Francisco and between 1899 and 1900 the prison population grew from 25 to 441. This increase necessitated the building of the Upper Prison which consisted of three wooden cell houses with two tiers each which were surrounded by a stockade fence. In 1907 Fort Alcatraz was re-designated the "Pacific Branch, U.S. Military Prison, Alcatraz Island" when the army finally acknowledged that the future of Alcatraz was as a prison and not a defense site. After an ambitious building project, the cell house complex included four cell blocks with a total of 600 cells, a kitchen, dining hall, hospital, recreation yard, and administrative offices. It was the largest reinforced concrete building in the world when completed in 1912 and also included a power plant which produced electricity and steam heat for the island. In addition to its role as a military fort and prison, Alcatraz Island was the site of a navigational lighthouse which was erected and first lit in 1853. Alcatraz Lighthouse #1 was the first lighthouse built on the current US Pacific coast and contained a California Cottage design with a short tower protruding from the center. In 1856 a fog bell was added to the lighthouse. In 1909, after 56 years of use, Alcatraz Lighthouse #1 was torn down to make way for the construction of the larger prison. Alcatraz Lighthouse #2 was constructed and located next to the cell house and completed on December 1st, 1909. Its 84-foot tower of concrete contained a smaller lens than its predecessor which was eventually replaced in 1963 with an automated rotating beacon thereby allowing the keepers to be discharged. In 1933 the Army left Alcatraz due in part to the Great Depression of the early 1930s and negative publicity. Most of the military prisoners were transferred to Fort Leavenworth, Kansas and Fort Jay, New Jersey however they turned over their 32 worst prisoners to the custody of the U.S. Department of Justice and the Federal Bureau of Prisons who took over control of Alcatraz Island and ran the federal prison there from 1934 until 1963. The Federal Government had decided to open a maximum-security, minimum-privilege penitentiary to deal with the most incorrigible inmates in Federal prisons in order to show the law-abiding public that the Federal Government was serious about stopping the rampant crime of the 1920s and 1930s. Classified as a concentration model, where difficult-to-manage prisoners from other institutions would be concentrated under one roof, Alcatraz served as an experiment of segregation in response to the outbreak of crime and violence of post-Prohibition, post-Depression America. Despite it's reputation as being a "Devil's Island", several inmates actually requested a transfer to The Rock. 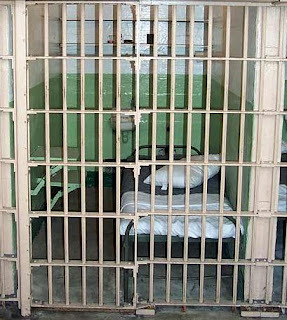 The average population was only about 260-275, never once reaching its capacity of 336, and many prisoners actually considered the living conditions to be better than other Federal prisons (for instance, there was always just one man to a cell). At Alcatraz, a prisoner had four rights: food, clothing, shelter, and medical care. Everything else was a privilege that had to be earned. Some privileges included working, corresponding with and having visits from family members, access to the prison library, and recreational activities such as painting and music. 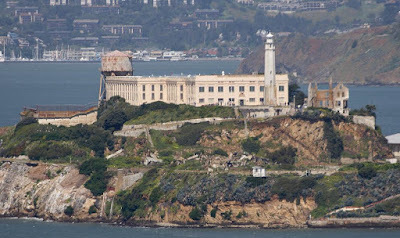 Even though Alcatraz housed such famous prisoners as Al Capone, Robert "The Birdman of Alcatraz" Stroud, George "Machine-Gun" Kelly, Alvin Karpis (the first "Public Enemy #1"), and Arthur "Doc" Barker, most of the 1,576 prisoners incarcerated during its 29 year history as a federal prison were not well-known gangsters. They were simply prisoners who refused to conform to the rules and regulations at other Federal institutions, prisoners who were considered violent and dangerous or who were considered escape risks. If a man did not behave at another institution, he could be sent to Alcatraz where the highly structured, monotonous daily routine was designed to teach an inmate to follow rules and regulations. On March 21, 1963, Alcatraz closed after 29 years of operation as a U.S. Penitentiary. The reason for closure was due to the fact that the prison was too expensive to continue operating primarily due to its location and isolation. The isolation of being on an island meant that everything (food, supplies, water, fuel, etc.) had to be brought to Alcatraz by boat. As an example, the island had no source of fresh water, so nearly one million gallons of water had to be barged to the island each week. The Federal Government decided that it was more cost-effective to build a new institution rather than to keep Alcatraz open. After the prison closed, Alcatraz was basically abandoned though many ideas were proposed for the island which included a monument to the United Nations, a West Coast version of the Statue of Liberty, and a shopping center/hotel complex. 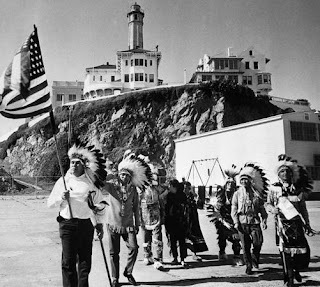 The island made news in 1969 when a group of Native American Indians claimed Alcatraz as Indian land with the hope of creating a Native American cultural center and education complex on the island. During the 18 months that the "Indians of All Tribes" used their act of civil disobedience to illustrate the troubles faced by Native Americans, public support was strong and thousands of people came to the island during the time they were there. Unfortunately, the small Native American leadership group could not control the situation and much damage occurred including graffiti, vandalism, and a fire that destroyed the lighthouse keeper's home, the Warden's home, and the Officers' Club. In June of 1971, Federal Marshals removed the remaining Native Americans from the island and it was once again abandoned until 1972 when Congress created the Golden Gate National Recreation Area. Alcatraz Island was included as part of the new National Park Service unit, designated as a National Historic Landmark, and opened to the public in the fall of 1973. Since then it has become one of the most popular Park Service sites with more than one million visitors from around the world coming to tour the island each year. Da Vid and the Global Peace Foundation, now wish to change all that and have managed to get Proposition C put onto the Febuary 5th California ballot by collecting over 20,000 signatures in favor of the plan to convert the historical prison on Alcatraz Island into a Global Peace Center. The initiative would restore the operating power of Alcatraz back to the city and county of San Francisco which would then open the door for Da Vid’s ambitious renovation plan for the island tourist attraction. Da Vid has described Alcatraz as a "major power point" where "energy moves through the planet." His vision to turn it into a peace center came to him in 1978. "It was a flash," he explained, "and I wasn't on any drugs either." His grand project calls for transforming the former penitentiary into "the eighth wonder of the world", comparable to the Taj Mahal or Parthenon, which would include a statue of St. Francis, a multimedia entertainment center, a world cultures conference room, and a harmonium, employing sound techniques to impart a "deep meditative, transpersonal and transcendent experience," a medicine wheel and a labyrinth. Even should the operation of Alcatraz Island be successfully turned back over to the City of San Franscisco from the Department of the Interior and National Park Service, dismantling the prison would be a very costly proposition and Da Vid has absolutely no funding for such an endeavor. When the San Francisco Chronicle asked him about that he assured them that "Money will come" and hopes that major corporations will wish to build some good karma for themselves by helping to fund the multi-million dollar project. In my own humble opinion, I have to strongly disagree with Da Vid's desire to wipe out the history of Alcatraz Island. It seems that there are way too many people hoping that by removing the reminders of our history - especially the unpleasant aspects of it - it will make everything all better and that's just not the case. 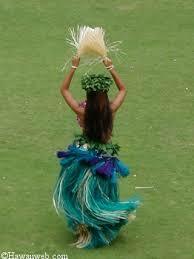 History, whether it be pleasant or unpleasant, is an integral part of life. We need it so that we can look back at where we were and see the proper direction that we need to go in. We learn from history. Or at least we should. "... preserving the old prison at Alcatraz may not be the purest option from a spiritual perspective, but it's a notable part of our region's history ... Remembering our history is rarely uplifting, but it's important." I hope the citizens of California feel the same way and defeat this Proposition at the polls next Tuesday. If you're interested in learning more about Alacatraz Island's colorful history, then check out the very interesting www.AlcatrazHistory.com where you can learn a lot more than what I just briefly told you or, if you're on the West Coast and haven't been to Alcatraz yourself, I strongly suggest a visit. Just bear in mind that the tours sell out every day! Yeah, it's that popular, Mr. Da Vid! I'd hate to see the prison torn down. Our visit to Alcatraz, on one of our many visits to San Francisco, created one of my most vivid memories. I still have our touristy "sailing" photo in a magnetic frame on our refrigerator. To try to remodel, revamp, rebuild Alcatraz would be trying to re-write history and the consequences of trying to do that -well, suffice it to say, good, bad or ugly, history is as it was and should be reported, recorded always as that - not portrayed in a totally different light. Just my opinion there. I really liked this post. It was information on a subjedt that I would not cared about, if I were not a friend of yours in the blogosphere. This is a terrific post. I still remember Clint E crawling around! Is Da Vid on LSD??? You can see his hallucinations here after his introduction! I came over via Jeni. A very interesting post. I recently saw a documentary on TV about Alcatraz it was a terrible place but it is part of Californian history. Oh Linda - one other thing - stop by my blog and pick up something that is "history in the making" - another award, just for you! 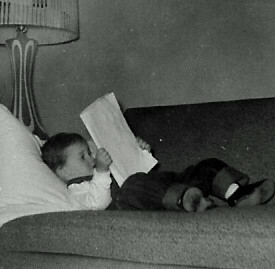 I like that you put up several posts a day, my dear...keeps me reading!! Very interesting. I am from San Francisco and you just schooled me with this post. Thanks for this. Just goes to show that sometimes we don't even pay attention to whats in our own backyard. This was an interesting post, Linda. I never would have thought much about Alcatraz. I definitely agree that it shouldn't be transformed into a global peace center. Its history should be preserved. Very interesting, history is being wiped out everywhere, it would be such a shame to see this go to. It should NOT be torn down! There are abandoned places (like your mental hospital and much of Ellis Island) that could use re-habbing and be made into such a center. Stop by It’s A Blog Eat Blog World and take a guess to what's on the microscope slide for my Wordless Wednesday! Excellent post, Linda. I have had an interest in Alcatraz for a long time, going back to the first time I saw Birdman of Alcatraz. I can't help but wonder, though, how a state proposition can affect what is done with Alcatraz since it is a Federal reserve and a National Historic Site. With that designation it is essentially a protected site. Da Vid is another one of those left coast crazies that California seems to have in abundance. An excellent history. Alcatraz is part of the nation's heritage. America is slowly but surely learning that you can't recreate history. Once it is gone, it is gone. We tend to be a throw away society and as a result have lost so much of our past in favor of another McDonalds and a roadside historical marker where something real used to be. Alcatraz should be preserved and its history protected. p.s. I got the book meme done. All I knew about Alcatraz was from the film "The Birdman of Alcatraz" starring Burt Lancaster (yes I'm old!) so thanks for the history lesson Linda it was really interesting. I submit that tearing down the old prison and building something else in its place doesn't really erase the history of the place. What happened there is in the historical record. However, having said that, Alcatraz is an iconic piece of the landscape of SF and I wouldn't be in favor of making any changes to it. what a great post! I have had the pleasure of see Alcatraz up close and person and it would be a shame to see it torn down! okay...I can't let it go. These people are out of their e-phn gourds. I know it sounds all nice...global peace foundation....but it really isn't something that can actually happen. I love San Francsico. It is my favorite city...period. But now its being run by a bunch of yahoos who want to do things like impose fines on places that sell coke, seven-up...et cetera. There is no way the City or County can maintain the ISLAND and the buildings on Alcatraz for this purpose.